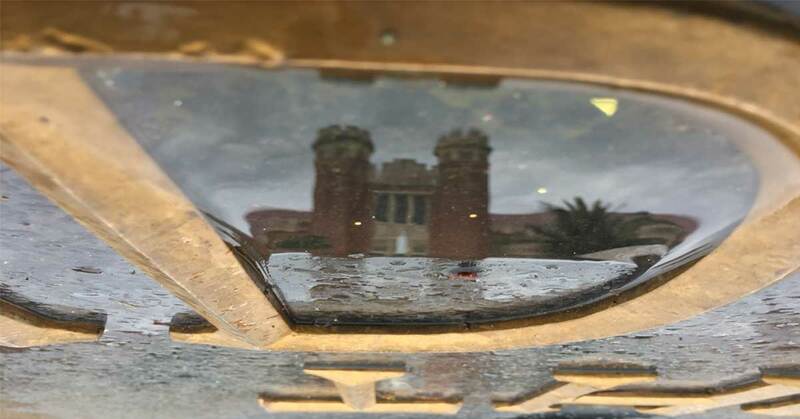 The fountain in front of this campus building had small puddles in the letters of the words The Florida State University. This small puddle was in the letter D of the word Florida. Since its one of the most recognized building on campus I wanted to capture the reflection of it somehow.